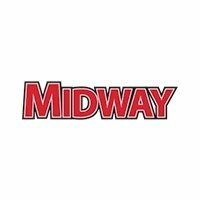 When you think “spa,” you think “renewal.” That’s exactly what we offer at Midway Auto Spa—only for cars! From professional washing and waxing, to detailing and paint restoration, our certified service technicians will give your car, truck, or SUV the star treatment. 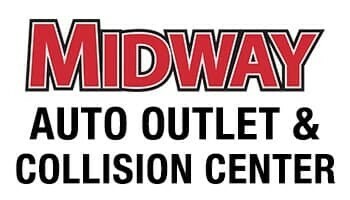 Learn more about the auto spa at Midway Auto Dealerships, and what kinds of services are available to Grand Island and Hastings drivers! Silver Wash ($29.95): When you purchase this package, we’ll hand-wash your car, spray it with wax, hand-dry the wheels, and spray out the truck bed. Gold Wash ($49.95): Gold Wash includes all of the above, as well as interior and exterior glass and mirror cleaning. Platinum Wash ($69.95): Platinum Wash includes all of the above, plus center console and dash dusting, rubber floor mat cleaning, rim detailing, and tire shining. Silver Detail ($129.95): When you choose this package, we’ll blow out the dust and debris from under the seats, vacuum high-traffic areas and trunk, detail rims and shine tires, and add an air freshener wafer. Gold Detail ($299.95): Gold Detail includes all of the above, plus steam cleaning, stain removal on carpets and seats, leather cleaning, and more. Platinum Detail ($399.95): Platinum Detail includes all of the above, as well as hand waxing, paint sealing, engine appearance package, and more. Is the paint on your car chipping or scratched? Our team of professionals never relies on glazes or fillers to cover up the problem. Instead, we correct it from the source. We offer top-notch paint restoration services for cars/small SUVs ($169.95) and trucks/vans/large SUVs ($249.95). Leave it up to our professionals to get your vehicle looking like new again—and for a reasonable rate. In addition to services like headlight restoration, glass polishing, and windshield polishing, we also offer intensive cleaning for especially dirty vehicles (heavy stain cleaning, pet hair/pet damage, etc. ), odor removal, and rock chip repair (price per chip). All of the above services are under $100. 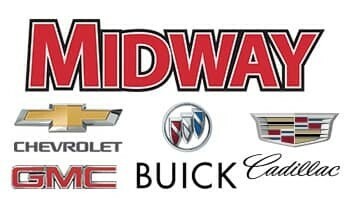 Treat Your Car to a Day at the Midway Auto Spa! Whether it’s used for work or everyday errands, your vehicle works hard on a daily basis. 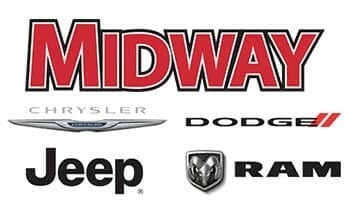 Let the auto experts at Midway Auto Dealerships give the care it deserves! Schedule an appointment near Holdrege by calling (833) 662-0033, or contact us online at one of our three locations in Kearney, NE. If you’re looking for other convenient ways to keep your car in good health, check out our service specials!